Bradley Liew’s ‘Singing in Graveyards’ is an existential drama with a twist. A washed up rock ‘n’ roll impersonator seeking former glory sounds like a cliché story in the same vein as Darren Aronofsky’s ‘The Wrestler’. 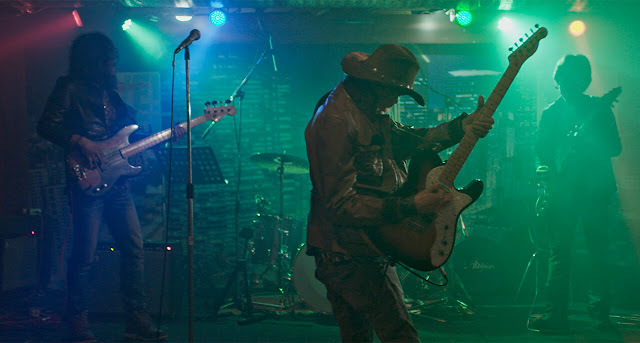 However, this film is more creative and playful, blurring reality and imagination in every take, especially when you realize Filipino rock legend Pepe Smith plays the impersonator to… Pepe Smith. Smith is instantly magnetic from the start till the end. Shambling around his house, as the penniless character Pepe Madrigal talks to himself as though he is actually Pepe Smith and eats nothing but chocolate porridge whilst driving a hearse. Everything about him is engaging and sympathetic as we follow his journey as he tries to write a love song for Pepe Smith’s comeback and play in the profitable opening act. 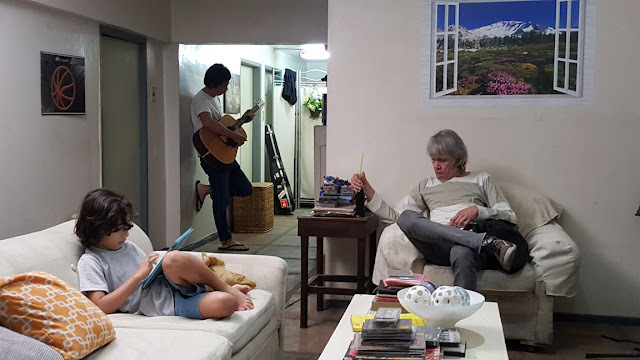 The real Pepe Smith meanwhile is derided in the film as an egocentric and selfish character, which is a crowd pleaser every time, particularly for Filipino audiences. Every insult Pepe throws at himself is a cue for boisterous laughter. Smith’s casting is also not the only hilarious meta-highlight. Renowned director Lav Diaz ironically plays a self-interested, money grabbing producer and actress Mercedes Cabral plays a supporting character as an aspiring actress who can’t shed her sexualized image. Taken at face value, this film, complete with the estranged ex-wife and son characters, sounds relatively typical of the genre. However the film also avoids cliché deftly and adds a dreamlike fantastical element to its presentation. Time and space are compressed with creative transitions, where characters move in and out of doors to blur the lines between real and imagined. Much like Pepe’s own dreams which begin to slowly take a darker turn when confronted with present-day reality. Oh and there is also a goat and a dog. Their roles in the story are best left unexplained. Whilst much concerns Pepe Smith, one cannot avoid the intriguing characters around him, particularly that of Mercedes played by Mercedes Cabral. Whilst Pepe Smith dreams of being another person, Mercedes can’t get away from her past identity. She not only steals scenes at times, she almost steals the entire film when things gets explosive during a casting session with some sneering male filmmakers. Pepe and Mercedes story arcs twist and turn around one another but it is clearly Pepe’s story and we never fully find the satisfying ending scene you would expect for Mercedes after seeing all of her struggles. But with a run time of 142 mins, some of the middle sequences do begin to sag and repeat. The man-child character Pepe plays almost starts to lose his charm. Yet with every scene more or less done in a single unbroken take with fantastic production design and cinematography, you can shed some forgiveness on Liew for finding it difficult to edit his own film. Overall, the film picks up again in the final act and gathers pace to a wonderful end. The visually resplendent film provides us a character portrait that is full of ennui, sadness and humor of a man lost in past delusions, which unravels in the face of an unforgiving present. 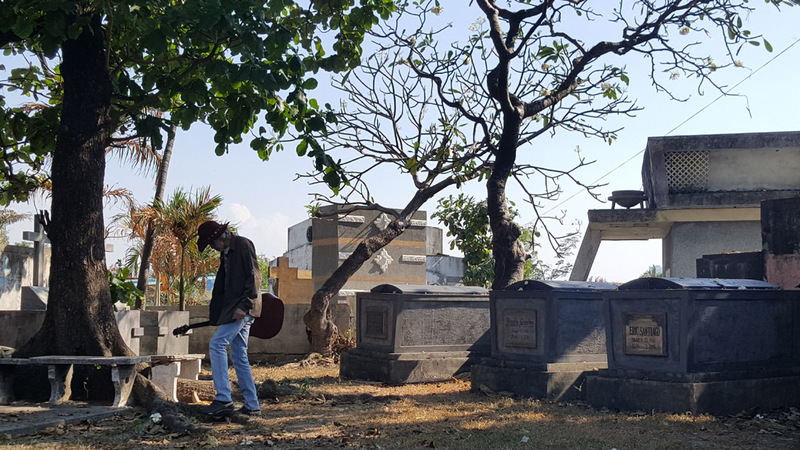 Bradley Liew accomplishes a magnificent feat in showing the slow awareness of mortality through playful inventiveness worthy of the legendary Pepe Smith.